SEE ALSO: ECC Day 1 Recap: Global Vapers Unite in Anaheim! It's safe to say that the first annual Electronic Cigarette Convention exceeded my expectations. The event was held a little over a week ago in Anaheim, CA at the west coast's largest convention center. This provide more than enough room to accommodate the estimated 18,000 attendees. After closing out day one on Friday with a bang by picking up an Omega atomizer from the Vapor Bombz booth, I was exhausted. Everything I took home from Day 1, minus a free T-Shirt and knapsack. I don't think I slept much that night either, as I was busy playing around with my new atty and and uploading all the photos I had taken of the event. Since the first day had pretty much wiped all my friends, I was riding solo on day 2 and didn't plan on staying too long. However, I soon learned there was going to be a workshop on potential e-cig regulations later in the afternoon. Today was to be more of a business affair, as I had people to interview and notes to take. Of course, along with taking care of business I also had to visit some of the booths I missed the first day. Aside from the debuts of a few mods, the most popular vendors seemed to be in the e-liquid business. I wound up with a few more bottles of juice on the second day of ECC. ReHAB Vapors built their own bar complete with mini gas pump juice dispensers and this 12 foot Nemesis-Kayfun combo. Photo c/o Phil Busardo. As I entered the convention hall to start the afternoon off, I saw a familiar face. It wound up belonging to Will Spallino, a kid I had seen working at and hanging out around the Newport Vapor Room several times. It looks like he too has joined the e-liquid business with buddy Matt, who I've also seen around Newport Beach. Together, they formed ReHAB Vapors and as the name would suggest, flavors are based around recovery from addiction. In fact, 10 percent of their profits are donated to recovery-based programs. Like Five Pawns and P.O.E.T., Rehab Vapors had a unique setup, complete with three mini gas pump-style juice dispensers for sampling. I wound up buying a t-shirt from them and received three 4mL sample bottles of Whiskey Tango, a blend of blood orange and grapefruit that more than satisfies my citrus craving. The rest of their e-liquids are definitely of the unique variety, combining flavors like cucumber, mint and lime or chocolate, orange and eggnog. Just before I went home for the day, I figured I ‘d stop by the Midas booth as their “UFO” looking display hanging from ceiling intrigued me. Midas was yet another brand I was unfamiliar with, as new juice manufacturers pop up almost every other day in Southern California. However, Midas has been around since 2012 and is actually based down the street from where I grew up in Garden Grove, CA! Midas Vape had one of the more effective advertisements at ECC. I looked at their line of what seemed to be fairly typical flavors. Then I noticed they had an RY4, and being a reviewer of mini-ecigs as well as mods and juice, had to try it. Midas Ry4 pretty much blew me away. Unlike most RY4s, this one throws some toffee flavoring into the mix, providing for a very powerful tobacco blend. I went through the bottle pretty quick and as I usually do, diluted it with some pure VG about half way through, which created a more mellow and smooth taste. Strolling through ECC, freely puffing away. The view of potential FDA regulations on e-cigarettes was a bit more optimistic than it is today. But alas, there was important business to get done. After a somewhat lengthy delay to fix some technical issues with the speakers, it was finally time for the workshop on potential FDA regulations to begin. First up was Azim Chowdhury, a food and drug law specialist based in Washington, D.C. Prior to the workshop beginning, I was handed a printout of his 2011 piece titled “The Evolution of the Electronic Cigarette“. Back then, it seemed that while the FDA would regulate electronic cigarettes as tobacco products, they wouldn't require any pre-market approval to be sold. The FDA was slated to announce their regulations by the end of October 2013, however the current US government shutdown may prolong the inevitable even further. And when it hits, there is speculation the FDA will not only ban sales to minors (which the vaping community general agrees with) but also online sales and require a lengthy approval process for e-cig products containing nicotine. Many experts also fear they will limit the amount of nicotine used in e-liquid to 1mg/mL or even less, effectively rendering e-cigs useless to many potential vapers transitioning from smoking. Food and drug law specialist Azim Chowdhury discusses potential FDA regulations on electronic cigarettes. Whenever the FDA does announce regulations, the public will be given a chance to comment. E-liquid containing nicotine will be regulated as a tobacco product since the nicotine is derived from tobacco leaves. Products will need to go through lengthy permit processes, depending on when the FDA decides to set the “Grandfathering Date”. The later, the better for all existing e-cig companies. Chowdhury was on our side, stating he thinks the FDA should set the Grandfather date as the date in which regulations are first introduced. Potential regulations won't be enacted for at least 1-2 years. Vapor rises to ceiling of Hall C at the Anaheim Convention center during ECC. However, the fire alarm was believed to have been set off by someone vaping near a smoke detector in the lobby of the building. AEMSA encourages any/all regulators to educate themselves BEFORE proposing and/or enacting any regulatory legislation. Time and again we have seen municipalities approach legislative efforts (for these products) acknowledging, right on the record, “we do not know”. There are already substantive bodies of scientific and medical research (many are Published and Peer-reviewed) focusing specifically on many different aspects of these products and the various Harm Reduction factors. Such include (but are not limited to): the ingredients, the vapor itself (both first and second hand), effects of electronic cigarettes on myocardial function, cytotoxicity on cultured cells and more. While we acknowledge more research is needed, the results and conclusions in the substantive (and verifiable) research findings already available are notably consistent – electronic cigarettes are exponentially less harmful than combusting and smoking tobacco. AEMSA encourages (more-so we implore) any and all regulators to learn about these products and read the verifiable studies BEFORE PROPOSING and/or ENACTING ANY REGULATION. Some notable research sources available: Dr. Konstantinos Farsalinos, Dr. Michael Seigel, Dr. Riccardo Polosa, Dr. Joel Nitzkin, Dr. Brad Radu, Professor Etter, Dr. Chris Bullen, Dr. Murray Laugesen, Professor Igor Burstyn, ClearStream LIFE, ClearStream Air and others. The former US Surgeon General, Dr. Richard Carmona, joined the board of the electronic cigarette manufacturing company NJOY in March of this year. Many research citations can be found on the AEMSA website. AEMSA advocates electronic cigarette products for adult use only. AEMSA supports banning sales to minors. AEMSA advocates Reasonable, Realistic and Sustainable regulations that promote Tobacco Harm Reduction. In terms of potential regulations, they do not speculate what will happen once a decision is announced. We can only hope the FDA lays out regulations similar to AEMSA's existing standards. A film crew from Aljazeera America interviews an employee from Vape Revolution at ECC. All in all, the first annual Electronic Cigarette Convention was a highly successful event. It drew a crowd larger than any previous vaping event had ever seen and attracted media attention from the likes of Al Jazeera America, ABC and the LA times. However, its main directive was to educate the public on the safety of electronic cigarettes and particularly create a sense of urgency around the need to mobilize and fight back against impending regulation. As to whether or not it succeeded with changing the minds of many of those against e-cigs, only time will tell. Do you have any speculation as to how the FDA will regulate electronic cigarettes and nicotine e-liquid? What do you hope and what should be done, if anything at all? ECC Day 1 Recap: Global Vapers Unite in Anaheim! 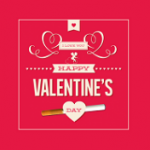 Do Electronic cigarettes make for a good Valentine’s Day gift? Hear the verdict given by You!